The Big Chill has a lot in its favour but the festival site itself is definitely its best selling point. 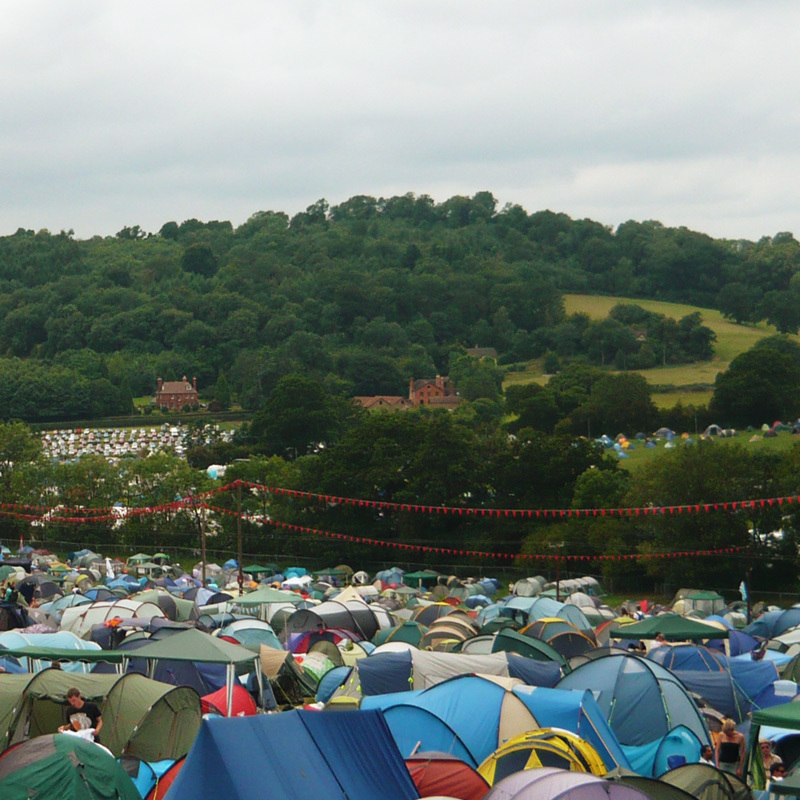 As we’ve mentioned it’s in the grounds of Eastnor Castle that you can see poking over the trees in the distance. In the middle of the site sitting behind and in-between the Deer Park and Castle Stage are two beautiful lakes. The site is massive but it still has a relatively low capacity so it always has a nice spacious feel to it. 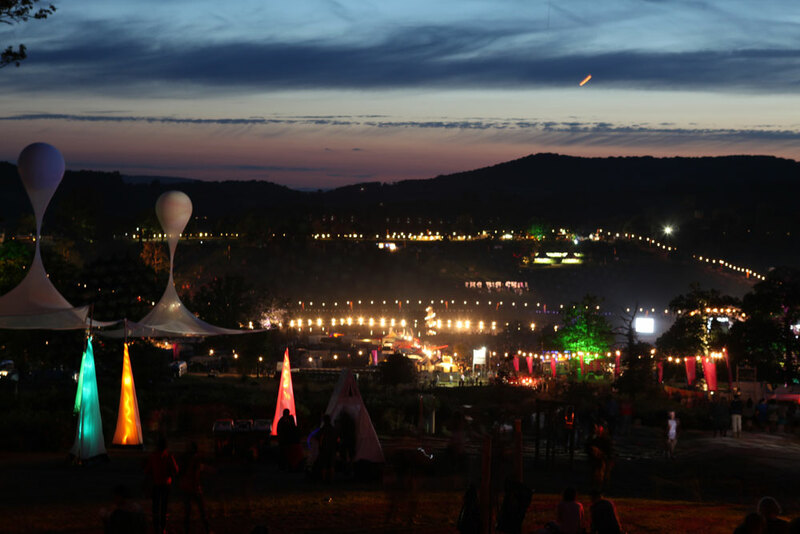 The arena is in a valley with an empty chill out space on one side and 'The Enchanted Garden' stretches all the way up to a large monument on the other side of the hill. 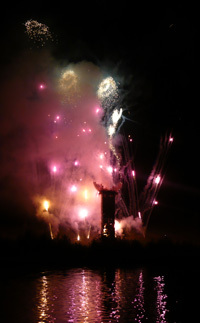 The festival started off as a Sunday afternoon club night / tea party in Union Chapel, London. Chilled out tunes and cocktails were the order of the day and in an odd way not a lot has changed. The club night (and accompanying tea party!) has moved outdoors, stretched itself over a long weekend (remember the music starts on Thursday this year!) and incorporated more art, but the driving force of chilling out with a cocktail to some brilliant cutting edge electronic music still holds true. Speaking of art; art throughout the festival site is another thing The Big Chill does really well. The lakes become an amazing stage for artist’s work previously including a helter skelter, mirrored boat and a huge rubber duck! The trees have become clotheslines for washing that will glow if you peddle a bike fast enough, and if you join the wrong queue in the enchanted garden you might end up kissing a stranger through a small box with a window in it (we hope your mum or dad wasn’t in the other queue!). 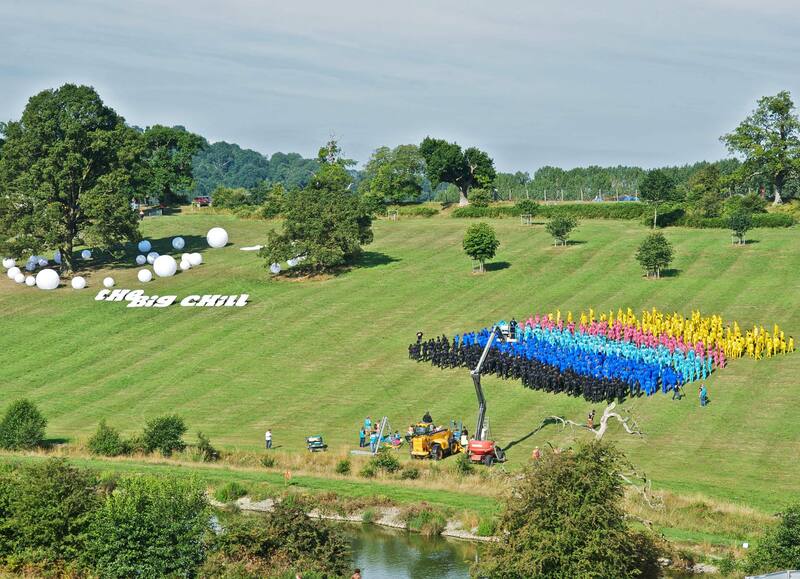 We have no idea what art you may come across at The Big Chill this year although we know it will be amazing and we’re really excited to see what we can find… As you can tell from the above, audience participation is high on the agenda when it comes to The Big Chill’s art instillations. Over the last couple of years The Big Chill has also given many a festival goer the opportunity to take part in the biggest ever Zombie gathering and one of Spencer Tunick’s Naked Art Installations! It's a little odd getting to the music so late in a festival preview, but the Big Chill is the sort of show you can go to without knowing anyone on the line-up and still come home having had the best weekend of your year! Of all the festivals The Big Chill has had the most profound effect on our musical tastes. The Big Chill is the festival where, whilst watching London Elektricity perform one of the best shows we've ever seen on a festival site, we fell in love with Liquid Drum and Bass. When we first started going to The Big Chill Festival we would only know a couple of people on the bill and normally tag along with a more knowledgeable friend. Now we often find ourselves as the knowledgeable friends so we’ve put some music specific tips together for you which you can find at the end of this post. This leaves you with the question of where to crash. 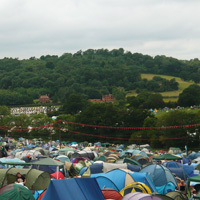 There are five main campsites: Red, Yellow, Purple, White and Green. Green is family camping so if you’re with the kids this is definitely the place to stay. The others are all general camping with White and Purple being on the side that has traditionally been the later and louder side of the site (in closer proximity to the late night entertainment), Red and Yellow being on the more chilled-out side of the site. Fight Like Apes – One of our favourite bands at the moment. A brilliant mix of anger, excitement, guitars and synthesiser. MayKay, the singer, has the best voice since Florence and the Machine found fame. DJ Derek – The Big Chill wouldn’t be The Big Chill without DJ Derek. Probably the first ‘Bus Pass DJ’ Derek mixes on minidisks in a tank top and tie. He’s in his 60s but can still spin brilliant dub tunes. 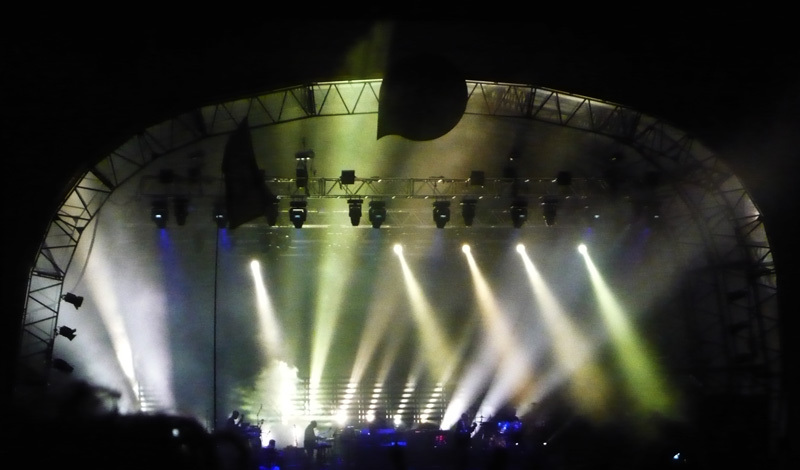 Submotion Orchestra – chilled out live grooves with a brilliant, slow, baseline. Very Big Chill. Norman Jay – another Big Chill saltwort, we can’t imagine a Sunday afternoon in Eastnor without getting down to Normal Jay on the Deer Park stage. Ghostpoet – now Mercury nominated so probably not as good a tip as when we first thought about this post but still well worth a watch. DJ Food – some brilliant breaks and down tempo hiphop. Luke Vibert – AKA Wagon Christ a veteran of both ninja tunes and warp records is an old hand at the down temp, what we might now refer to as the Big Chill scene.